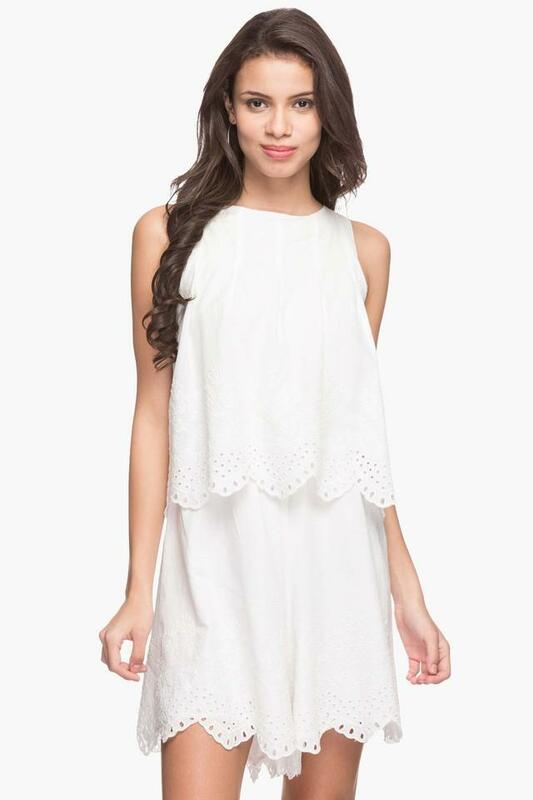 Casual meets classy with this lovely layered dress. 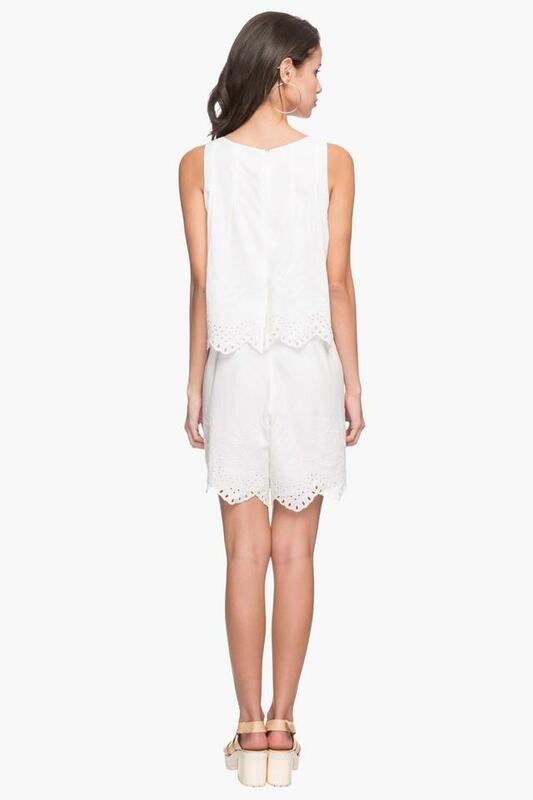 The perforated pattern at the hemline adds to its appeal. The zippered closure at the back promotes easy usage and regular fit maintains comfort. Embrace your fashionable side wearing this lovely dress. Wear it with a pair of sneakers to add to its charm.